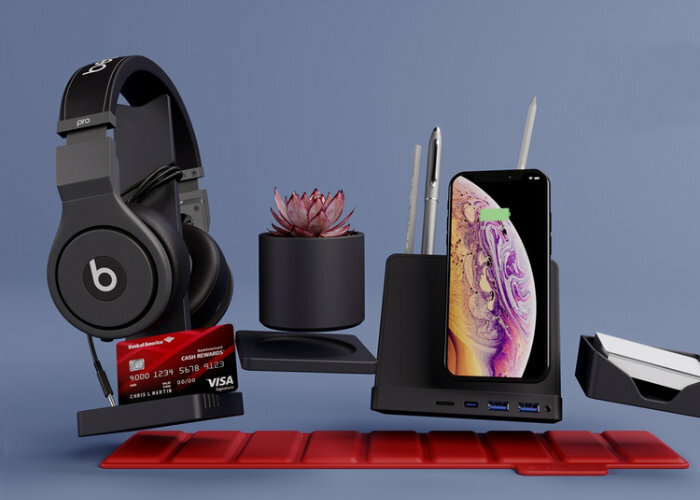 STEALTHO has created a new wireless charger and desk organiser which not only allows you to keep your mobile devices charged but also your everyday items within easy reach on your desk. Watch the demonstration video below to learn more about the wireless charger and USB hub which includes a range of different modules from headphones stands to credit card organisers. Launched via Kickstarter this week the wireless charger and desktop organiser is now available to back from $69 or roughly £52 with worldwide shipping expected to take place during August 2019. “Today, the typical employee or freelancer has a host of basic supplies to keep track of–smartphones, noise-canceling headphones and of course, trusty writing utensils, just to name a few. The trouble is, all these essentials quickly can create clutter that distracts you, impedes tasks and cuts your productivity.